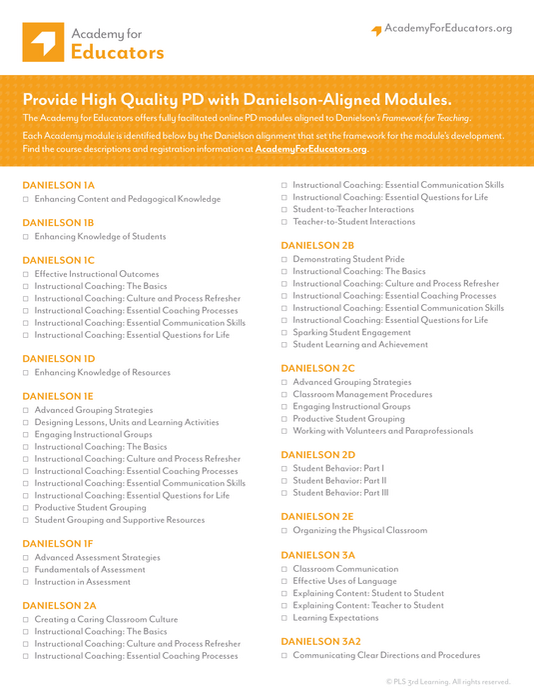 Our Danielson-aligned modules deliver standards-based PD to educators. Through interactive, fully facilitated online experiences, participants evaluate identified areas of challenge and how they may improve their practices. Download this pdf to identify which Danielson alignments set the framework for each online module.